nowadays art can come in all different forms, and in this case, steaming hot mugs of lattes known as ‘creamart‘ has been making waves around seoul. 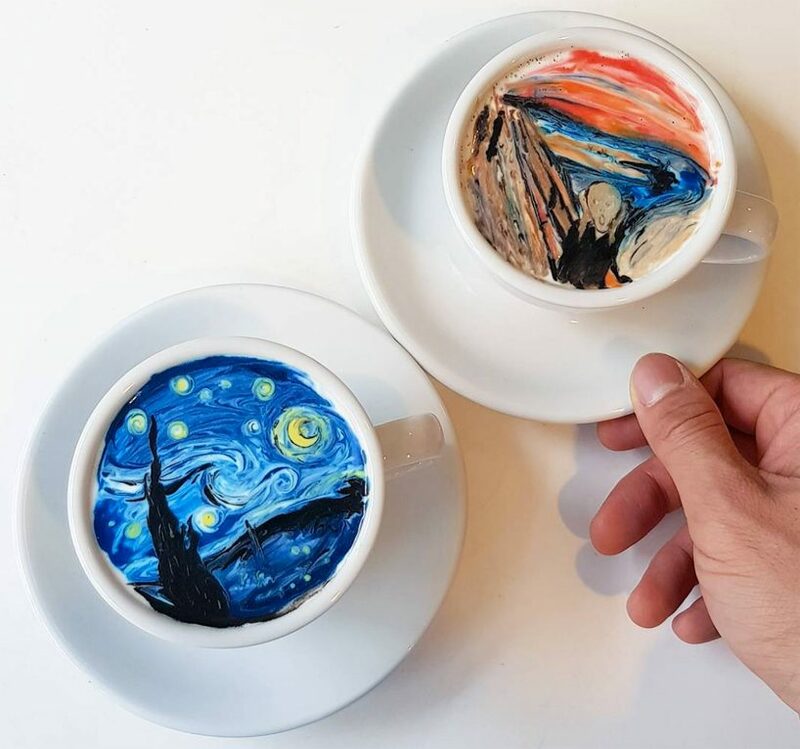 brewed by south korean barista lee kang-bin, the coffee drinks showcase recognizable masterpieces mimicking famous artworks and logos; from vincent van gogh’s ‘the starry night’, edvard munch’s ‘the scream’ to the instagram logo and cartoon characters. 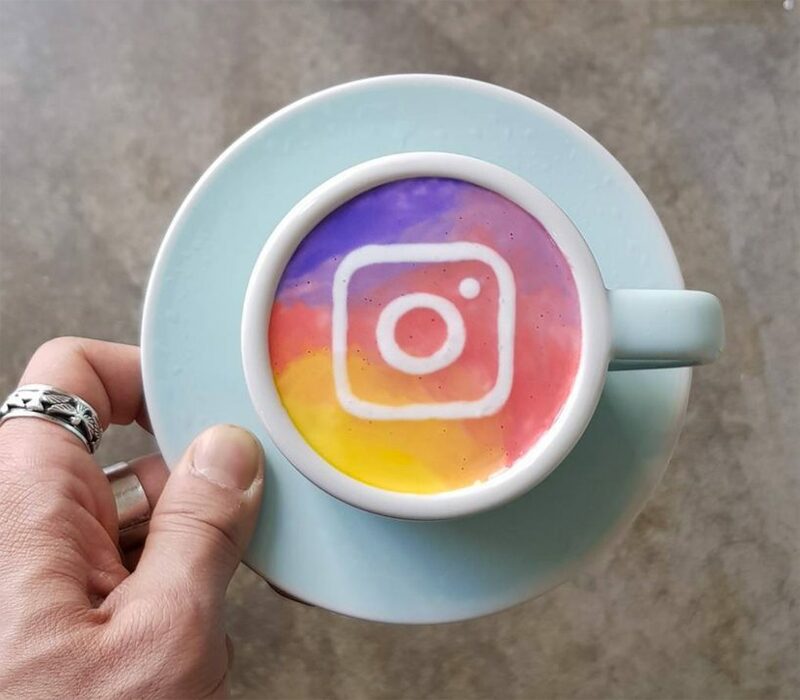 documented on lee kang-bin’s instagram profile, the colorful and drinkable creations have garnered a high following and fan base. 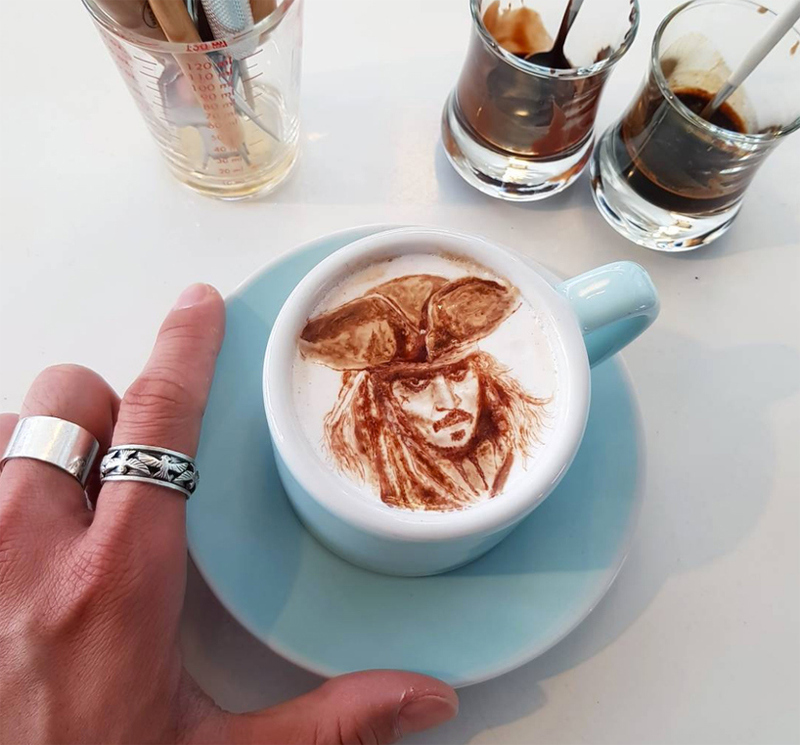 the barista uses the white, steamed milk as the blank canvas, then carefully applies colored cream and tiny brush strokes to etch out a foam sketch. taking a tedious time of approximately 15 minutes to make, it has not stopped customers patiently and eagerly to wait for their own creamart creation.